I love face masks and sheet masks, but wearing them...well, it's not my cutest look! Laneige to the rescue! They have developed the perfect skincare treatment for you (and me)! The Laneige Water Sleeping Pack is INVISIBLE, so you and I can apply the mask without feeling self-conscious about how we look while we are getting beautified! What does it look and feel like? Is it really INVISIBLE? It is lightweight and clear. 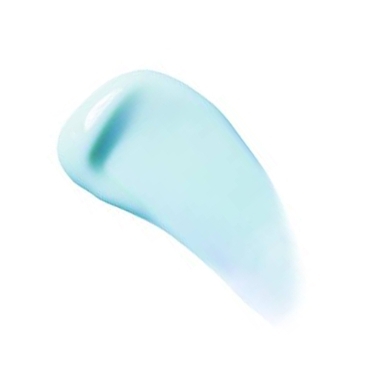 It's gel-textured similar to a serum. Once it has dried after 15ish minutes, it's practically untraceable. The 80ml jar will also give you some bang for your buck because a little bit of it goes a long way. The sweet sales woman at the Korean cosmetic store gave me a sample packet when I was trying out some BB cushions. I was quite surprised how little the 4ml packet was, but was even more surprised to find that the contents inside were more than I needed! What are the benefits of this mask? The Laneige Water Sleeping mask works on all skin types. It has a purposeful light scent, thanks to the exclusive Sleepscent™, a trademarked blend of aromatic orange flowers with rose and sandalwood essences to relax the mind & skin while you slumber. The water pack is also formulated with Ceramide SLN which works to strengthen the skin's barrier to prevent moisture loss. You definitely notice this moisture lock when you rinse your face in the morning. When you first splash water you can feel the pack's layer still on top of your skin. The mask is also enriched with beta-glucan to deeply hydrate fatigued & dry skin. Beta-glucan is, basically, a sugar with some antioxidant properties and strong anti-inflammatory agent. So, it is an excellent ingredient for reducing redness and other signs of sensitive skin (yay!!). After cleansing & toning at night, I smoothed the mask evenly on my entire face, but avoided eye contact. I made sure to apply* the mask at least 15 - 20 minutes before going to sleep so that it was able to dry. Then, I went to sleep. In the morning, I showered and rinsed my face well, and followed up with my favorite toner, currently, Thayer's Witch Hazel. You can use it once or twice a week. RECOMMENDED: I, alongside many other bloggers (like Chriselle Lim who puts on her pack before long flights), definitely recommend you try out this mask if you are fighting dry skin and redness. When you wake up, your face is not greasy, just dewy and super soft! 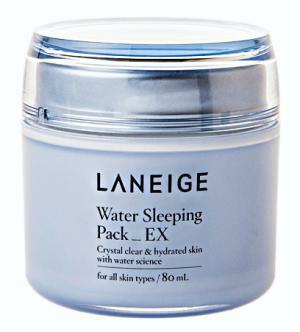 Have you tried Laneige's Water Sleeping Pack? What did you think? Have you tried something similar? *As always, make sure to test on a small area first. - Laneige Water Sleeping Pack available at target.com for $23, 80ml. -Thayer's Witch Hazel in various scents available at healthdesigns.com for $7.96; use promo code "mshealthyface" for $5 off! Journal of Drugs in Dermatology, February 2007, pages 167-170; and Free Radical Biology and Medicine, February 2001, pages 393-402).